This week has, again, managed to take me through the ringer. This time, it wasn’t the focus on school that did me in (though, I’ll be honest, grading four of these To Kill a Mockingbird papers tonight it slowly sucking out my soul). I’m hoping for some time for rest, rejuvenation, and a Mark who isn’t completely sicky sick. 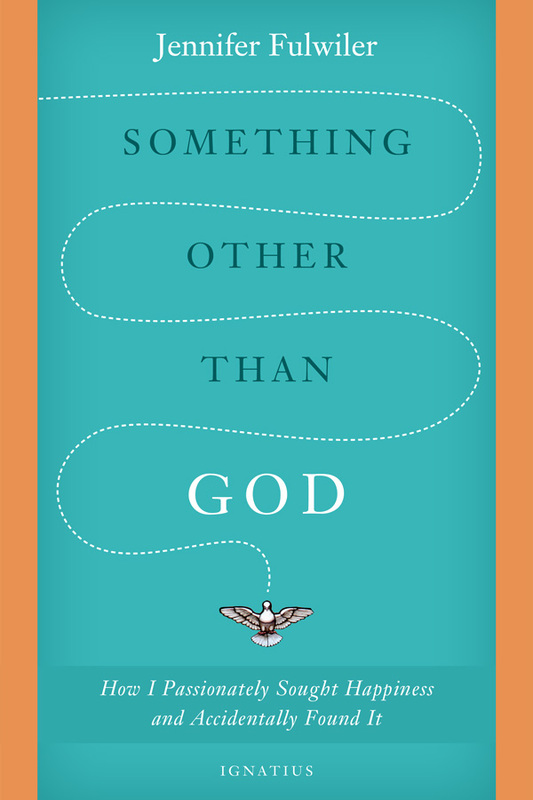 … I’m reading Something Other Than God by Jennifer Fulwiler. It’s just so awesome I can hardly talk about it. I’ve never read a modern conversion story, and I’m really liking hers. It’s brutally honest, well-written, and inspiring in all kinds of ways. For example, it’s been awhile since I’ve been to confession (it’s just what it is, okay? I’m trying to be better), and hearing her story has made me want to be a better Catholic in so many ways; I’m planning on going to confession this weekend. In addition, the way she talks about realizing what it really means to live for someone else has come to mind multiple times in the past week and has given me pause in difficult moments. Thank you, Jen, for inspiring me! If you haven’t picked up her book yet, you definitely should. … Romeo and Juliet. One of the things I like about teaching is getting the chance to share stories that I love with my students. But, one of the downsides is having to read something you aren’t completely in love with over and over again. While I love Shakespeare, this is not my favorite play. I have to almost physically restrain myself from being snarky about how depressed Romeo is in Act I, scene i. Teenage angst… uuuuuuugh. … I have a new job! I actually got the job awhile ago (and quite my current job, yipes! ), but I was waiting to tell my students until more toward the end of the year (sort of now-ish). While I’m sad that I won’t be standing in front of a classroom anymore, I am proud to announce that I will be working for an online school teaching English and Literature classes at the middle school and high school level. This will mean some financial sacrifices on our part, but it means a lot less work for me and I’ll be able to spend MUCH more time with Mark. I’m nervous about being good at my new job and translating my teaching to the online platform, but I know it’s the right decision for my family for right now. Thank you to those of you who prayed for me while going through that discernment process — it helped so, so much! … my current coworkers. Things are a little stressed at school, and people are starting to feel it. If ya’ll could offer up some prayers for them, that would be amazing. Thanks. … sick. As I kind of mentioned above. He was pulling at his ears and all cranky and stuff on Tuesday, so Ryan took him to the doctor on Wednesday morning. He got a bill of “there’s nothing for him to do, we just have to wait it out”. Then, we went BACK today (because, apparently to Mark, I’m out to ruin his life) for his well-child appointment. Where he got SHOTS. I am not on his list of favorite people today, for sure. 6) Like uncle, like nephew. Recently, I’ve been talking with my mom and my sister about how much Mark is like my brother John. When John was younger, he loved nothing more than to go outside. He would bang on the door to the backyard and yell “Side! Side!” over and over again. My brother also couldn’t eat enough bananas. My mom put the bananas on top of a small cabinet (near the back door, now that I think about it) and John would cry for the “Nanas!” all the time. If Mark would get his way, he would only eat bananas all day every day. You and I both know this would be the Worst Plan Ever, so I limit him to a few pieces every day. If you haven’t been hearing about the tragedy occurring in Nigeria with the schoolgirls being kidnapped, you can read about it here. While I’m not entirely sure that the whole hashtag movement is really going to make a difference, I do know that the power of prayer is amazing. Pray for the girls, their families, and their abductors. If you want to pray for a specific girl, you can choose from the list. I’ll be praying for Ruth Amos. Pray that they all return to their families and are safe. If you want to link up or read the other 7QTs, you can go read Jennifer’s post (which is always good, but is particularly funny today!). ← Five Faves (vol. 9): Teeeeeeething.